We are a small friendly company offering a quick and personal Laptop, Netbook, Computer and Tablet repair or upgrade services for the Lightwater and surrounding areas. All our services are offered both to personal and business customers – We will look after your personal laptops in your home as well as your business machines in your Shop, Clinic or Small Business we also look after medium to large internationals. Laptop Repairs – Dropped your laptop? We can normally fix most faults, including broken or damaged displays, keyboards, batteries and motherboards. 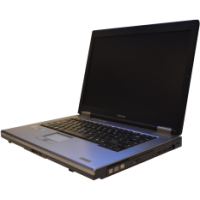 If your laptop or computer is beyond economical repair we can transfer your data and programs to your new machine. Laptop Upgrades – If your machine is running slow or running out of space, we can upgrade your memory/ram or upgrade your hard disk to a larger version including transferring all your current data to your new machine. Operating System Upgrades e.g. XP upgrade to Vista or Windows 8. Virus and Spy ware Removal. Data Backup and or Transfer to a new machine. This is not a comprehensive list so if there is a service you require that is not mentioned please still contact us. We now offer a complementary collect and drop back service for our customers, this is offered to our local customers in the Lightwater, West end, Chobham and Woking to Guildford corridor. If you would like any more information or would like to book a collection / get a quote please contact us or visit our laptop repair and upgrade or computer repair and upgrade pages. We are a Professional Laptop Repair / Computer Repair & Installation company based in Chobham and covering the Egham areas of Surrey and Berkshire. We are specialists in laptop repair and laptop upgrades including replacing broken screens, liquid damage, drop damage, hard disk & memory upgrades. As well as laptops we also repair, upgrade and install netbooks, tablets, and standard desktop computers. If your laptop or computer is beyond economical repair we can recover your data and copy this to a new laptop / computer or external storage device. Running out of storage space on your laptop or netbook? We can swap out your current drive with a new larger version and copy all your data and settings across so you won’t notice any difference. Data Recovery from non working / broken laptops and computers. Hard disk replacement / upgrades. Operating System upgrades (e.g. XP to Windows 8). As well as our standard onsite service, we now offer a free collection and drop back service for the Egham and surrounding area including Virginia Water, Wentworth, Sunningdale, Chobham and the Woking to Guildford corridor. If you are just outside this area please still contact us as we can normally help. For more information on our Laptop and Computer Services please contact us to Get a Quote / Book a Visit or visit our Laptop Repair & Computer Repair Pages. For over 10 years we have been providing a personal & professional Laptop Repair & Upgrade service to the Ascot, Sunningdale and Virginia Water Areas for both individuals and businesses. Repairs and upgrades where practical can be carried out on site or taken back to our specialised workshop to be looked at. Laptop Keyboards Replacement and Cleaning. Hard Disk Upgrades both size and type e.g. replacing a standard hard disk to solid state. Ram (internal memory) upgrades both size and speed. Data Backup and Transfer e.g. moving your files to a new laptop. Data Recovery from old or broken laptops and hard disks. We know how inconvenient and costly it can be to be without your laptop, so we endeavour to get your machine repaired and back to you as soon as possible. To help speed up and make the repair and or upgrade of your laptop as painless as possible we offer a collection and drop back service for your equipment from and to your home or place of work. We primarily cover the Ascot, Sunningdale, Virginia Water, Woking & Guildford areas of Berkshire and Surrey. But if you are just outside this area please don’t hesitate to contact us we can normally help. If you would like to get a Quote or book a repair please Contact Us or visit our Laptop Repair & Upgrade Page for more information. We offer a complete laptop repair and upgrade service for Microsoft, Apple & Linux Laptops and Netbooks. We know how inconvenient and problematic it can be when a laptop you rely on stops working or becomes infected by a virus or swamped by malware. Because of this we always try to get the machine back to you as soon as possible. Our laptop services and be done either on site (where practical) or in our workshop which ever is easiest and convenient for you. Hard Disk Upgrade e.g. increase the size and or speed. Standard Hard Disk to solid state Hard Disk Upgrade. Upgrade your Operating system to the latest version. Install or upgrade your anti virus solutions. If there is a Laptop Repair or Upgrade Service not mentioned please contact us and we will do our best to contact you. We offer a collect and drop back service where we will collect the faulty or damaged laptop from your business or home and then return it when the laptop has been repaired or upgraded. Our Laptop repair service is primarily offered for the Ascot, Sunningdale, Woking and Guildford areas of Surrey. If you are outside this area please contact us and we will do our best to help you. For more information please Contact Us or visit our Laptop Repair Page.